Investment delivers best available scanners, more accurate imaging, faster reporting, lower exposure to radiation and streamlined MDT processes. Blackrock Clinic has invested extensively in its Radiology Department and associated IT systems to deliver exceptionally accurate imaging coupled with an integrated, time-saving, remote-access IT platform. 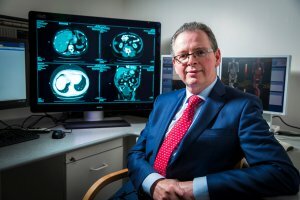 The overall investment of €16m includes purchase of the best and newest scanners available, hiring of additional staff and expertise to use the scanners, and a new IT platform to allow the radiology team to maximise the outcomes from the new equipment while at the same time ensuring the lowest possible radiation exposure to patients. Includes ten year, €10m+, radiology IT & imaging integration project managed by Philips and BearingPoint. Central to the investment is a €10m+, ten-year IT programme, securely integrating a number of the hospital’s IT, imaging and patient data systems including Radiology and Cardiology. Patient benefits from this programme include more accurate imaging, faster reporting times than previously possible at Blackrock Clinic, general coordination of information and an improved appointment system, offering more patient choice. Clinicians want the latest technology, tailored to their needs. Blackrock Clinic now offers anytime-anywhere access to multi-modality patient imaging data sets. The Blackrock Clinic IT team estimates a significant reduction in image analysis time and workflow efficiencies due to streamlining of the multi-disciplinary team decision-making process. Patient diagnosis can also be fast-tracked, according to need. The programme was executed by Lorcan Hall of BearingPoint, David O’Brien of Philips, and Jason Robinson of Healthcare Software Solutions (HSS). 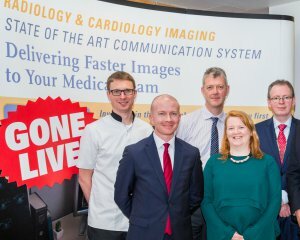 The project was overseen by Blackrock Clinic’s John Hayes, Head of IT, Bernard Bonroy, Head of Radiology Services and Anne Tierney, Head of Cardiology Services. It took 18 months from inception to completion and over 100 people worked on it, 70 of which were full-time, across the UK, Ireland, Holland, Germany and the US. “This is one of the most ambitious and complex project of its kind in the UK and Ireland. Already the case study is being used internationally to demonstrate global best practice. It also provides Blackrock Clinic with opportunities to use future Philips innovations across the Clinic as they are developed”. “Not only was the project executed in less than 18 months, and delivered under budget, but its impact is immediate. 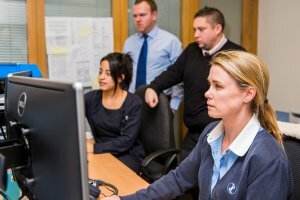 Already over 700 staff are using it daily and finding it streamlines processes and improves workflow. With an anticipated significant reduction in image analysis time, Blackrock Clinic patients will know that they are receiving their results faster and more accurately than any other radiology department in the country”. “Blackrock Clinic has a tradition of innovation. We saw this project as essential to making patient care as accurate and as fast as it is possible to be, under the care of some of the best clinicians in the country”. Further, he said: “This is a cost effective, future-proof system which offers flexibility, efficiencies and simplified and standardised processes. It is also the foundation for future technological opportunities to keep the Clinic – and as a result, our staff and patients – ahead of the healthcare tech curve. But, most importantly of all, it improves patient outcomes”.